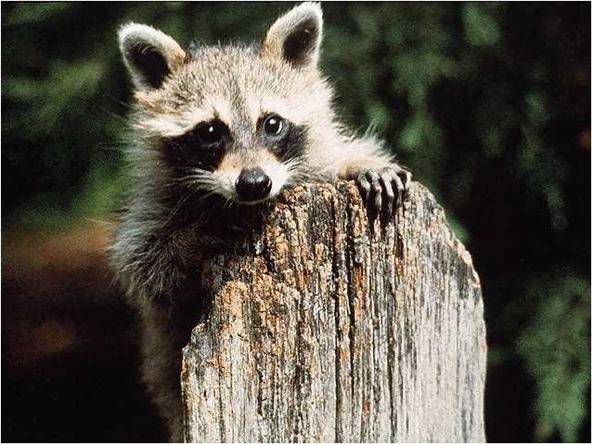 Dress up like a raccoon, and wait for people to take out their trash. When ever they put the garbage can on the curb, run out from where you were hiding and spear the trash can. Then whenever they turn around to see what is going on, start hissing and growling at them like you're really a raccoon. Watching peoples reactions should be just as funny as actually doing the stunt. It's a damn 2 for 1 special! wahoo!!! Is a 6 foot tall raccoon is what you have in mind, or a wee man sized raccoon?